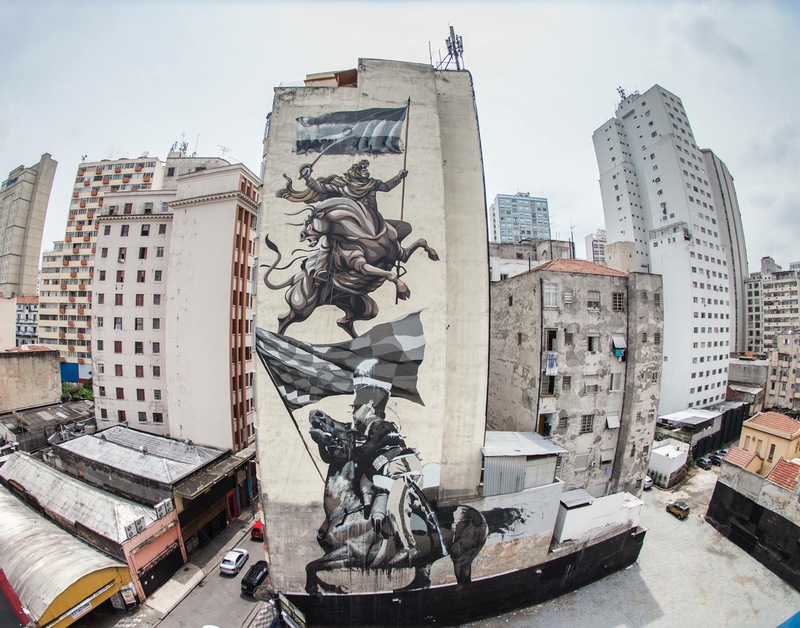 Franco Fasoli and Conor Harrington recently completed a mural as part of O.bra Festival in Largo do Arouche (Sao Paolo), Brazil. Franco and Conor worked for 10 days straight on this this monumental piece. The work references different conflicts in Latin America; the Paraguayan War and the subjugation of native people.